Monster Masters of the Universe Classics Make-Up! I said earlier in the month that I was a bit behind in my reviews, and there's no better testament to that than the fact that I'm covering two months of MOTUC releases at once. Mattel is pulling out one of the bad guy big guns by issuing Evil-Lyn as the April subscription figure. 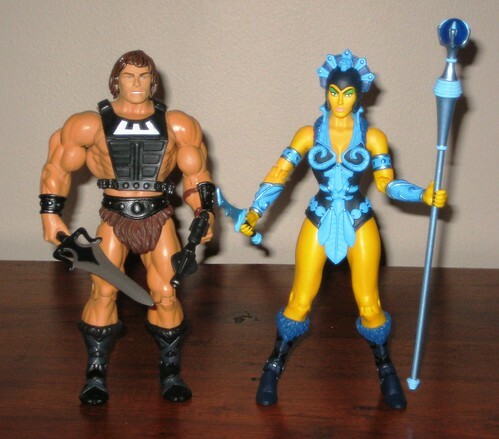 The "Classics" line being primarly a homage to the original toy line and Filmation series, Evil-Lyn is presented in her Crayola Yellow skin colour - at least on the outside. For some reason her head is cast in blue and the yellow is painted on, an extremely odd decision considering that her headdress appears to be a separate piece. Like the original figures, this is primarily a repainted Teela figure, and it all works, although the colour does seem to have been made unnecessarily garish in order to stay faithful to the original series. Definitely a fun figure for the display, but I do hope we get a repainted / restyled version down the road. Wun-dar is a bit of a He-Man in-joke that I don't quite understand, but he's the bonus figure for subscribers, so I've got him regardless and since I tend to be a completist he'll be displayed alongside the rest. Not "getting" the character aside, this is a nice repaint with what has to be the greatest loaf of bread accessory ever made in the 6" scale. Which is so significant. And yeah, that's Wun-dar. A bit earlier in the piece was the return of one of my favourite MOTU characters from the days of old - Moss Man. My memories of my meagre childhood collection are somewhat vague (I'm quite sure I remember having more figures than I actually did) but I know for certain I had the vintage Mossy - I remember his flocked skin slowly falling off and I remember his smell, which was a different kind of pine fresh than the new scent, and I sure don't remember it being as strong as Moss Man v2. The new and improved pine scent sure lasted awhile! This new Moss Man is one of my favourite figures in the line - I prefer the packed-in second head, as the one he's packed with makes him look a little bit too much like a balding middle aged fuzzy green guy. Like most of the males, he has weak ankles which make posing a little more difficult than it should be. I'm impressed by how unrestricted the rest of his articulation is by the flocking. His club / staff is a nice accessory - something different from all the swords and staffs that seem to abound. I also picked up the Stratos re-issue, further cutting down the number of figures I missed in the early days of the line. He's okay from a nostalgia aspect, but nothing special, and definitely isn't going to end up in my Top Ten favourites of the line. Still, he looks pretty good on a flight stand! Phew! With Tytus on his way (oh, and some guy with an eye for his head), I knew I needed to catch up on my MOTUC posts, so thanks for bearing with that one. I'm hoping to have Tytus in a week or so, and I'll make sure there's not such a long gap before I review the Big Guy himself. That's a decent MOTUC haul there mate. Does Stratos do the nec-extendy deal that the vintage did? That would be mega. I think you're confusing stratos with Mekanenk there westy. Stratos is the flying apeman. and very vanilla. I like Wun-dar a lot but that might be just because I'll probably never own one. Evil-lyn could have used a new dress, but whatever, it's matty. Mossman is pretty sweet, though the whole flock thing is both good and bad, I know I'd be moderately terrified of doing anything with him because of it. Westy, I believe you're thinking of Mekaneck. Stratos is the winged dude. Nothing wrong with some quick reviews, these are all good looking figures but I love that they made a scale loaf of bread. oh, and i have no idea who these chars are. i was much more of a she-ra fan. i had a pink castle, she-ra and the horse. my sister like he-man but i believe we only had orko. Neat looking figures. I hope eventually we get a retooled MOTU line similar to the 200x line. Ahh, Moss Man. I recall doing one of my first customizing projects with him; trying to turn him into Peremailfait from Kolchak: The Night Stalker. Good times. wun dur was oringaly a give away thing by wundar bread trying to be part of the motu craze. never got released originaly. Evil Lyn love how the horseman captured her wickedness even if her head dress comes off. can not wait for the sorceress . 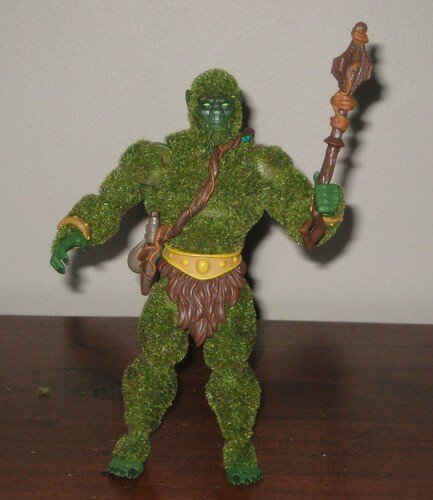 moss man never liked the original figure and this one looks like a rejected ape figure. plus the smell is due to Mattel no longer having some of the chemicals in the original recipe for the smell . just wait till stinkor comes along. 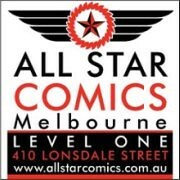 Nice review, quick and to the point. I really wanted Lyn for my collection, but couldn't get her in time. Hope the reissue comes soon. So...Wun-dar isn't He-Man in disguise, badly? You know...with a spray on tan and some nice auburn wash in his hair. One more...does the character who faces off with Moss Man have hedge trimmer hands? DC Direct busts out a great Batgirl!